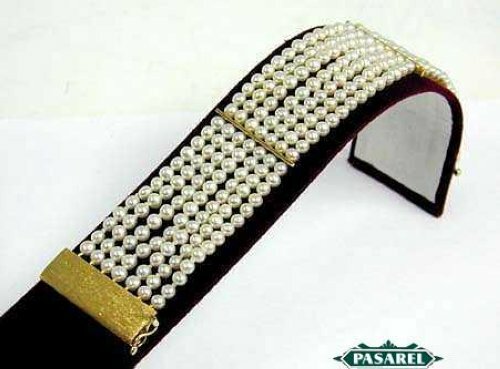 The bracelet consists of 7 lines of Pearls, all threaded on a silk string with knots in between. 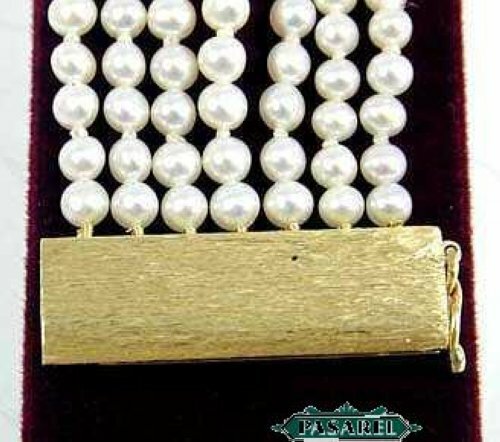 The wide clasp is very unique, it is brushed to a matte finish and holds the true beauty of the piece, along with the magnificent Pearls. 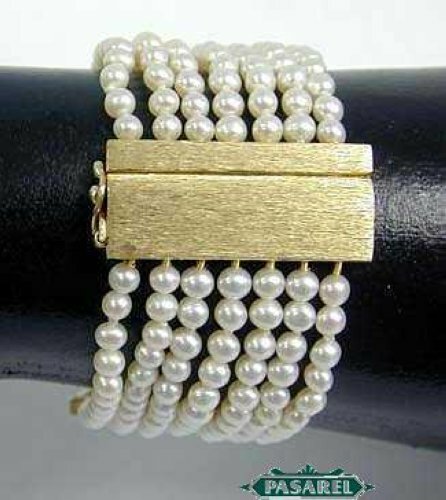 The bracelet also has two gold elements holding the strings of pearls together and stabilizing the back of the bracelet. 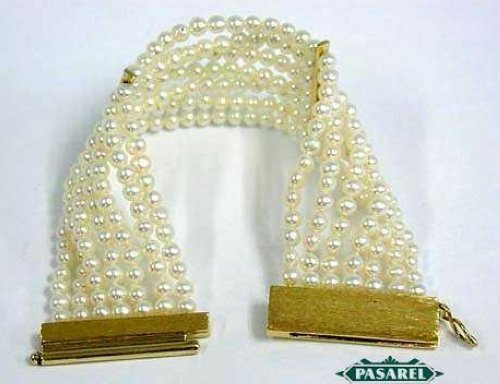 Designed and crafted by the famous Israeli jewelry designer Billy Shmerling Sender. Length – 6.4in / 16.256cm. Clasp – 1.25in x 0.55in / 3.175cm x 1.397cm. Pearl diameter – 0.157in / 4mm. Billy (in Hebrew) and 585 for 14k gold.